With almost 100,000 attendees from 130 countries and 2,682 exhibitors representing 37 countries, the Offshore Technology Conference (OTC) is the largest oil & gas expo in the world. And in the oil and gas marketplace there is no better place to showcase your products, your brand, and your business. 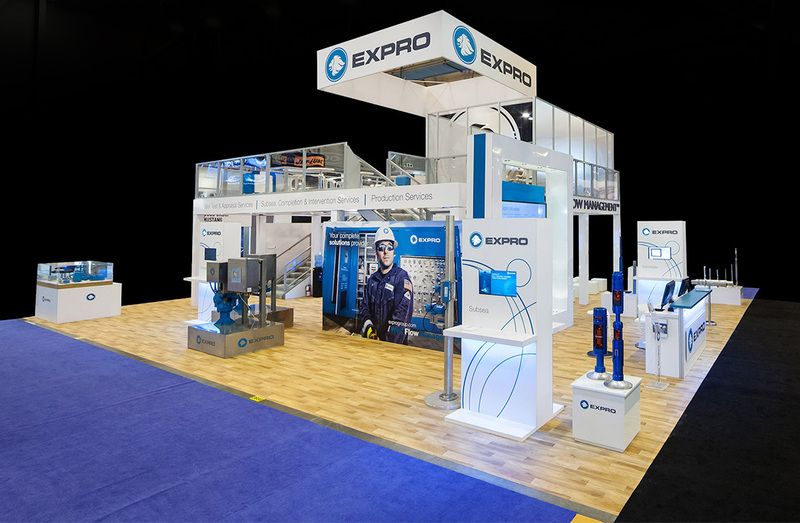 For OTC2015, leading international oilfield services company, EXPRO sought to raise the bar significantly, aligning and advancing the EXPRO brand. 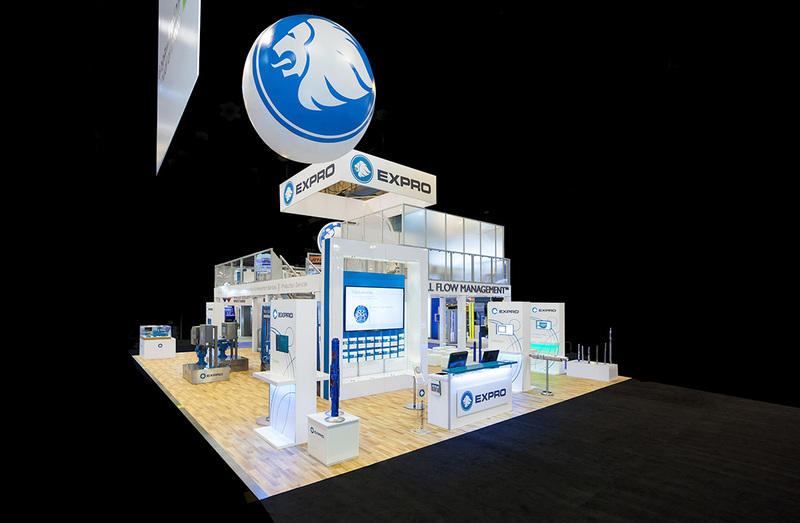 Working in partnership with EXPRO, the 2020 Exhibits design team’s overarching strategy focused on illuminating the brand and the exhibit environment, showcasing EXPRO as a technology leader and the complete well-flow solutions provider. Key objectives included precision and clarity in messaging, sharply focusing on EXPRO’s work across the life cycle of the well. Bold accent colors and fresh interpretations of core brand elements create dynamic extensions of the brand’s vocabulary throughout. 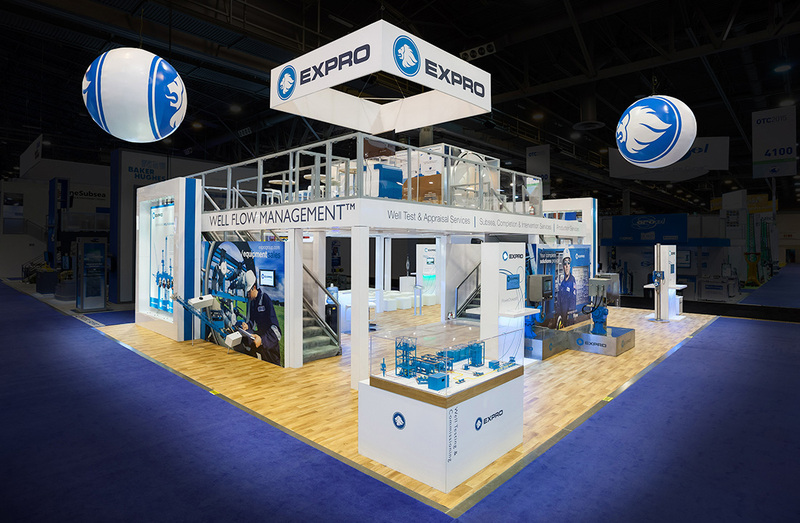 Equally important, the exhibit design features a crisp, clean and inviting environment that reinforces the strength and power of the EXPRO brand. The EXPRO exhibit environment is sleek and modern, with a creative use of signage and interactive media drawing traffic, clients and prospects to learn more. EXPRO owned their slice of the show floor with creative that was both whimsical and dramatic. All eyes were EXPRO bound with the iconic EXPRO lion floating sky high above the booth. A feature wall behind the bar area attracted attendees like moths to a flame. An ideal conversation starter, this one-of-a-kind branded feature fluttered and shined, appearing to light up and gently shift, with the slightest movement. 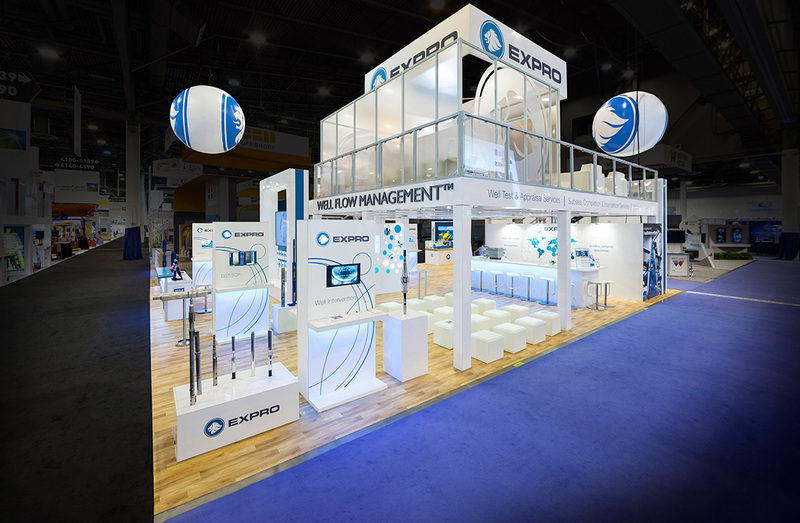 With the perfect recipe focused on form, function and fun, EXPRO was illuminating at OTC2015, helping the company capture and captivate attendees in new, dynamic ways.